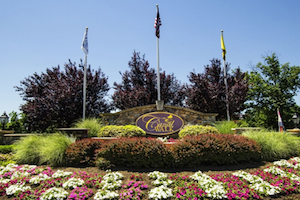 Canal Walk is the largest 55+ community in Somerset County offering elegant homes and exciting amenities. As part of the New York metropolitan area, Somerset County offers suburban scenery along with easy access to exciting urban attractions. The county has a rich history and diverse culture, upscale shopping and dining, local farms and farmers' markets, scenic parks and challenging golf courses. Beyond New York City, the prime location also puts locals within easy reach of popular destinations like Philadelphia and the Jersey Shore. Active adults who want to live in Somerset County can choose from several impressive age-restricted communities, often featuring a mix of attached and single-family homes. There are many well-established developments, including larger communities like the 755-home Somerset Run all the way down to intimate neighborhoods like the 160-home Four Seasons at The Promenade. Homebuyers who prefer new construction homes can also find fabulous options at newer communities, such as Canal Walk and Tapestry at Montgomery. Of course, you don't have to live in Somerset County to enjoy its wonderful attractions and inviting atmosphere. The area's diverse attractions make it a great place for a visit, while its prime location makes it an ideal stop for a larger East Coast vacation. While in Somerset County, you can enjoy the local shops and restaurants in Downtown Somerville, tour the beautiful home and grounds at Duke Farms, explore the history of American golf at the USGA Museum, and take in some natural beauty at the Leonard J. Buck Garden or The Scherman Hoffman Wildlife Sanctuary. At TD Bank Ballpark, sports lovers can root for the Atlantic League's Somerset Patriots or enjoy a seasonal event like the New Jersey State Fair or the Big Apple Circus. The Branchburg Sports Complex also lets visitors get in on the action with sports leagues and camps, batting cages, laser tag, an arcade and much more. And golfers won't want to miss a game at some of the area's well-known golf courses, including Trump National Golf Club and New Jersey National Golf Club. For cultural attractions, The Nash Theatre & Planetarium at Raritan Valley Community College offers many entertaining events. The theatre complex has two performing arts spaces, while the planetarium transports visitors into the immense beauty of space. Throughout the year, Somerset County features many diverse festivals and events. Spring brings The Jersey Paddler's Paddlesport Show, which is the largest canoe, kayak and standup paddling show on the East Coast. Summer offers events like the Taste of Somerset, Tour of Somerville and Somerset County 4-H Fair, while fall includes the Central Jersey Jazz Festival and the two-day Weekend Journey Through the Past. In late November, winter is kicked off with the Somerville Holiday Jubilee. Whether retiring to Somerset County or coming for a vacation, the area's diverse activities and exciting events are sure to create a memorable experience.